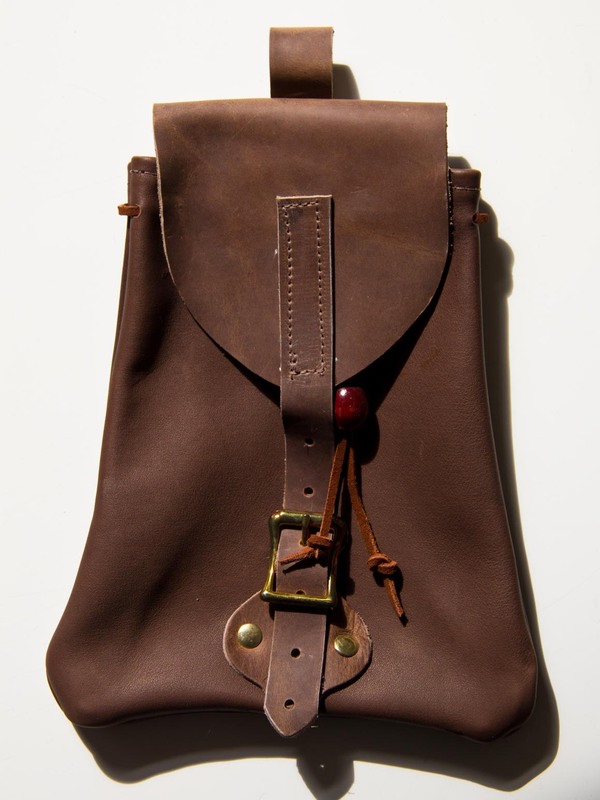 Ideal for traditional archers, hand made in suede with a brown leather flap at top, darkness of leather can vary slightly to that of the picture, brass buckle fastening and drawstring with wooden bead on bag section underneath flap. Approx 7 1/2" depth and approx 6 1/2" at its widest point. 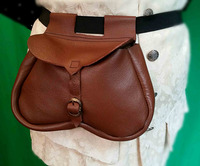 Belt loop will accept a belt of about 2" width.